You've now added Arlington National Cemetery to your itinerary. Start off your visit on the 12th (Fri): ponder the world of politics at White House, then get a new perspective on nature at Smithsonian National Museum of Natural History, and then examine the collection at The National Archives Museum. Keep things going the next day: explore the different monuments and memorials at Arlington National Cemetery, then explore the world behind art at National Gallery of Art, then examine the collection at National Air and Space Museum, and finally appreciate the extensive heritage of Capitol Hill. To find reviews, more things to do, and more tourist information, you can read our Arlington trip itinerary website . San Francisco to Arlington is an approximately 7-hour flight. You can also do a combination of flight, bus, and subway; or drive. Due to the time zone difference, you'll lose 3 hours traveling from San Francisco to Arlington. In April, daily temperatures in Arlington can reach 68°F, while at night they dip to 49°F. Finish your sightseeing early on the 14th (Sun) to allow enough time to drive to Washington DC. 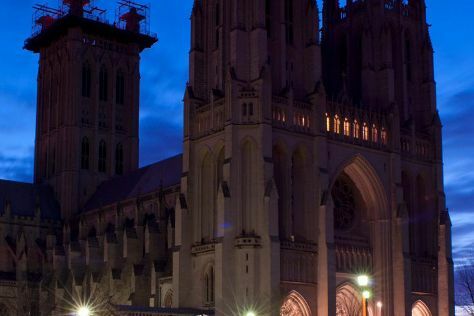 Washington National Cathedral has been added to your itinerary. To find more things to do, maps, ratings, and more tourist information, refer to the Washington DC trip itinerary planner . Washington DC is just a stone's throw from Arlington. Expect a daytime high around 68°F in April, and nighttime lows around 49°F. Wrap up your sightseeing by early afternoon on the 14th (Sun) to allow time for travel to New York City. Step out of the city life by going to Wertheim National Wildlife Refuge and Fire Island National Seashore. Explore hidden gems such as Columbia Trail and Ken Lockwood Gorge WIldlife Management Area. Change things up with these side-trips from New York City: Sourland Mountain Preserve (in Hillsborough) and Jenny Jump State Forest (in Warren). 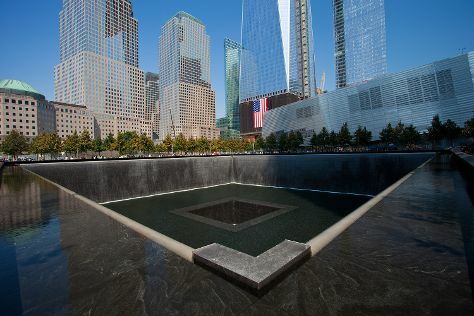 The adventure continues: pause for some photo ops at 9/11 Memorial. For photos, traveler tips, maps, and more tourist information, refer to the New York City road trip planning site . Getting from Washington DC to New York City by flight takes about 3.5 hours. Other options: take a train; or drive. Traveling from Washington DC in April, expect nights in New York City to be about the same, around 45°F, while days are a bit cooler, around 61°F. You'll set off for Boston on the 19th (Fri). Here are some ideas for day two: get to know the fascinating history of Freedom Trail, wander the streets of Newbury Street, then admire the masterpieces at Isabella Stewart Gardner Museum, and finally get engrossed in the history at The House of the Seven Gables. For other places to visit and more tourist information, read Boston travel itinerary planner. You can do a combination of bus and flight from New York City to Boston in 3 hours. Other options are to fly; or drive. Traveling from New York City in April, expect Boston to be a bit cooler, temps between 56°F and 40°F. On the 20th (Sat), you'll have the morning to explore before heading back home.